If you or a loved one has suffered as the result of a defective hip replacement in Illinois, contact the Dr Shezad Malik law firm. Those who have had defective hip replacement systems implanted may be eligible to seek compensation for things like pain, suffering, medical expenses, lost income and disfigurement. 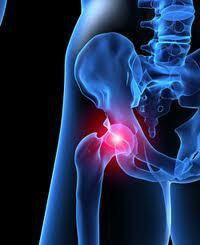 The DePuy ASR Hip Replacement System has a high failure rate due to its defective design and manufacturing. The company issued a voluntary recall of its hip replacement system as the defective implant has been associated with releasing high levels of metal ions which can damage tissue and cause pseudo tumors. If you have had a hip replacement after 2003 and are experiencing pain, it is important to contact your surgeon or the hospital where your surgery was performed to determine if a Depuy ASR Hip Replacement System was used. It is important not to sign any documents for either of these companies, even if your doctor asks you to. Please seek legal advice from an experienced Dallas/Fort Worth product liability attorney before you sign any legal documents. Contact Dallas/Fort Worth, Texas Personal Injury Attorney Dr Shezad Malik. My law firm has helped many clients win compensation for their injuries. My firm provides you with personalized attention through every step of the legal process as we aggressively pursue justice on your behalf. When you need a Dallas/Fort Worth, Texas personal injury attorney for a hip replacement recall claim, contact me to learn more about your rights and legal options. We handle defective medical product and device cases all over Texas and the United States. 888-210-9693 ext. 2, 214-390-3189.